Discover your Ultra Runner Score. Learn your personal ultra runner strengths and areas for improvement. Learn what your focus areas are? Where you are considered a developing pro? Where you make elite status! 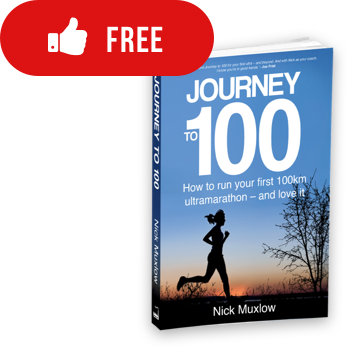 The Ultra Journey Approach outlines the key areas required to be a successful ultra runner. Being a successful ultra runner requires training but not just any training, you need to train really smart. The Ultra Runner Quiz, identifies the key elements needed to be a successful ultra runner but more than that it shows you how to improve and implement the areas you need to improve in. Answer 20 questions and get your personal ultra runner scorecard. Free of charge, in less than 10 minutes your report will be complete. The Ultra Runner Quiz will determine your ultra runner ability against The 4 Elements required to be a Successful Ultra Runner. The Ultra Journey Game Plan is concerned with a plan of action. A detailed, personalised and unique plan that is developed to cater for your individual ultra running goals, focus areas and strengths. A plan, which is, developed taking into account your life and work commitments allowing balance and long term commitment thus allowing you to be a successful ultra runner. The Ultra Journey Body comprises of all the components needed to ensure the Ultra Journey Body functions effectively and efficiently. They include energy systems, muscular systems and the digestive system. There are four key areas that require development to enable you to reach your full potential. Reaching your full potential means your long distance diesel engine is in place! The Ultra Journey Techniques are concerned with your ability to apply procedures and methods to deliver an end result. These techniques are concerned with the skill set required for successful training and successful completion of your ultra marathon. The Ultra Journey Mindset is your mind’s ability to train and race. The first thing you need to bring to the table is a can do attitude. With this initial attitude, a positive mindset with belief in yourself and your abilities comes about as a result of a successful Ultra Journey Game Plan. Once your score has been calculated our system will produce a personalized ultra runner assessment outlining your key focus areas, where you are considered a developing pro and where you make elite status.